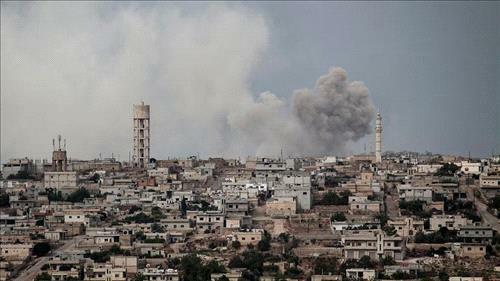 AMMONNEWS - A Syrian rebel and a war monitor said Russian air strikes had resumed against insurgents in Syria’s northwestern Idlib province on Tuesday after several weeks. Earlier Monday, Iran called for militants to be “cleaned out” of Idlib, as it prepared for talks with Syria and Russia about confronting the last major enclave held by rebels opposed to Assad. US President Donald Trump on Monday warned Syrian President Bashar al-Assad and his allies Iran and Russia not to “recklessly attack” Syria's rebel-held Idlib province, saying hundreds of thousands of people could be killed. “The Russians and Iranians would be making a grave humanitarian mistake to take part in this potential human tragedy. Hundreds of thousands of people could be killed. Don’t let that happen!” Trump said in a Tweet Monday.